From Nigel Slater’s Tender cookbook. “Good with lamb,” he says. Set the oven to 200C/Gas 6. Peel the potatoes and slice them thinly. They should be so thin that you are almost able to see through them. 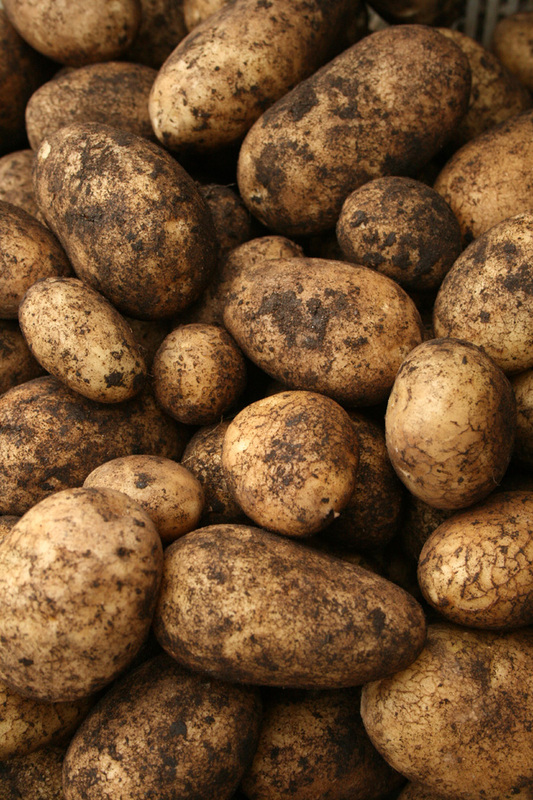 If you tend to work slowly, put the sliced potatoes into a bowl of cold water to prevent them browning. Melt the butter, then brush some of it on to the bottom and sides of a loaf tin (or use a round, solid-based tin). Cover with a piece of greaseproof paper, leaving a little extra overlapping the sides to get hold of when you come to turn out the cake. Cover the bottom of the tin with slices of potato, brush with more butter and season with salt, pepper, and a light sprinkling of thyme leaves. Continue layering the potatoes, adding the butter and seasonings every two or three layers, until you have used them all up. Pour any remaining butter over the top. Bake for 40-50 minutes, till the top is golden and a skewer can be inserted effortlessly into the layers of tender potato. To serve, lift the potato cake out by holding both long sides of the greaseproof paper and pulling upwards. Cut into six pieces. If it falls apart, and well it might, just push the slices back together.